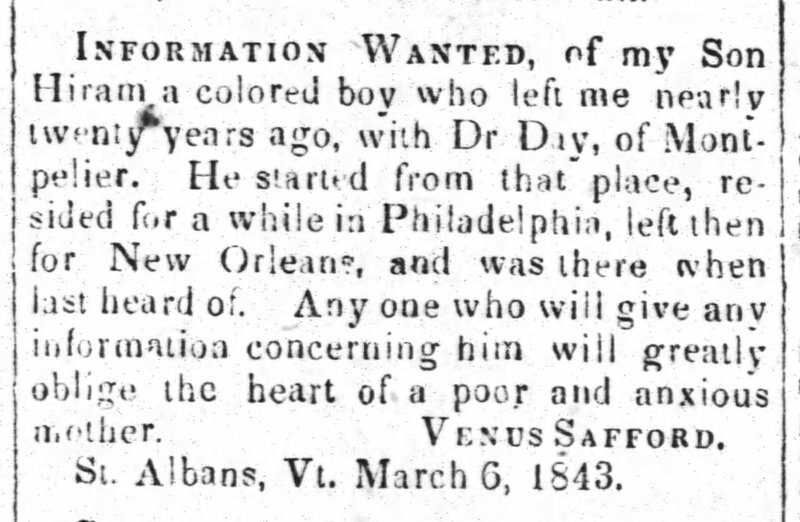 INFORMATION WANTED, of my Son Hiram a colored boy who left me nearly twenty years ago, with Dr Day, of Montpelier. He started from that place, resided for a while in Philadelphia, left then for New Orleans, and was there when last heard of. Any one who will give any information concerning him will greatly oblige the heart of a poor and anxious mother. VENUS SAFFORD. St. Albans, Vt. March 6, 1843.